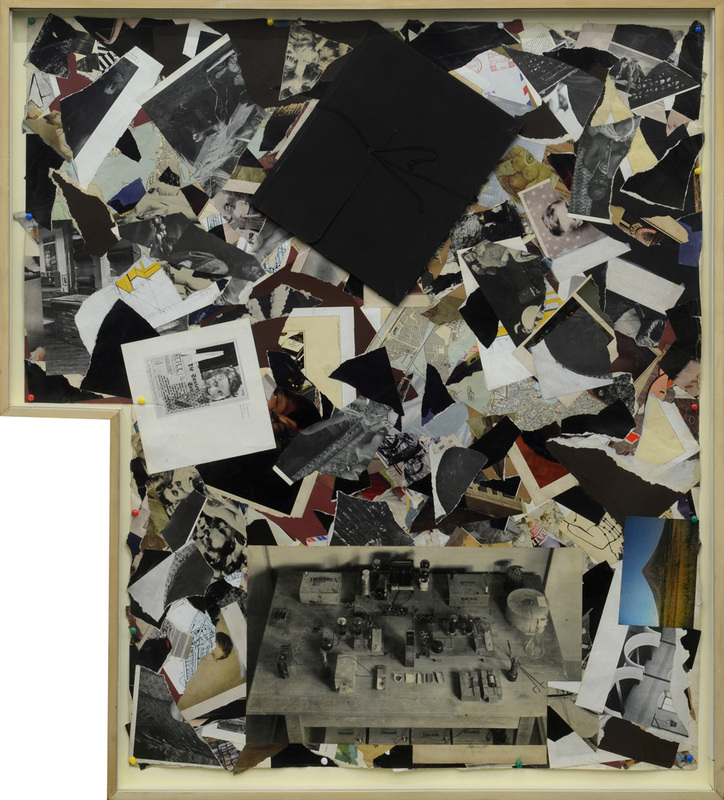 Chabet’s proclivity for paradoxes is made no less obvious by his penchant for collage. 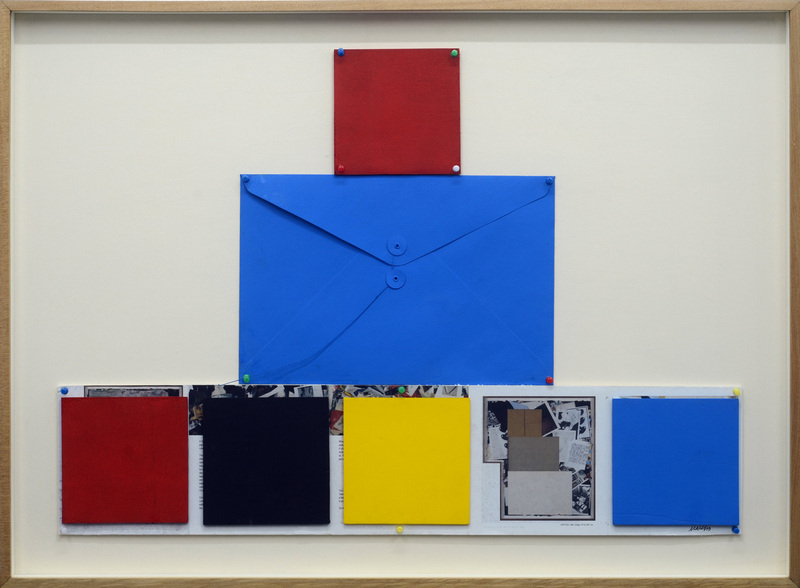 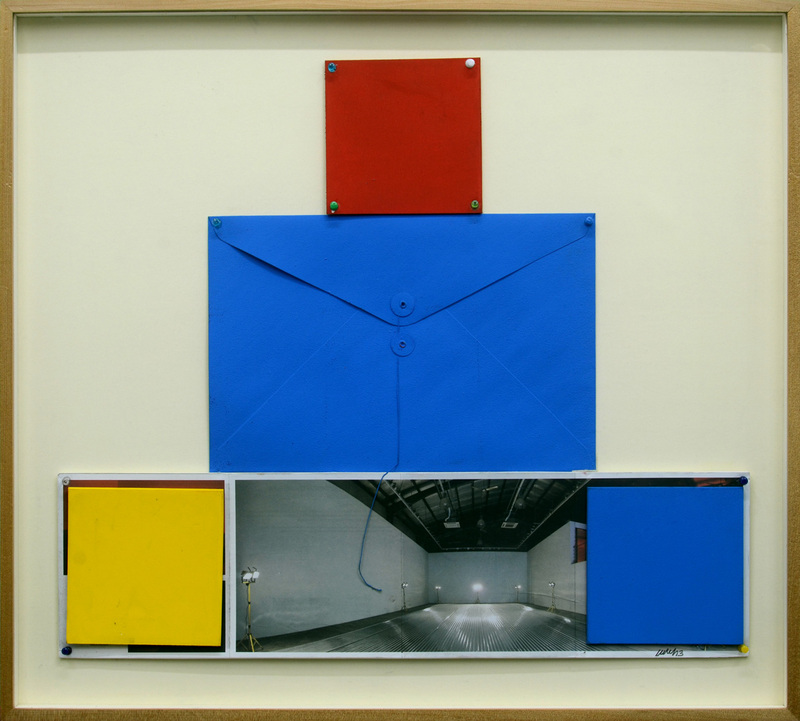 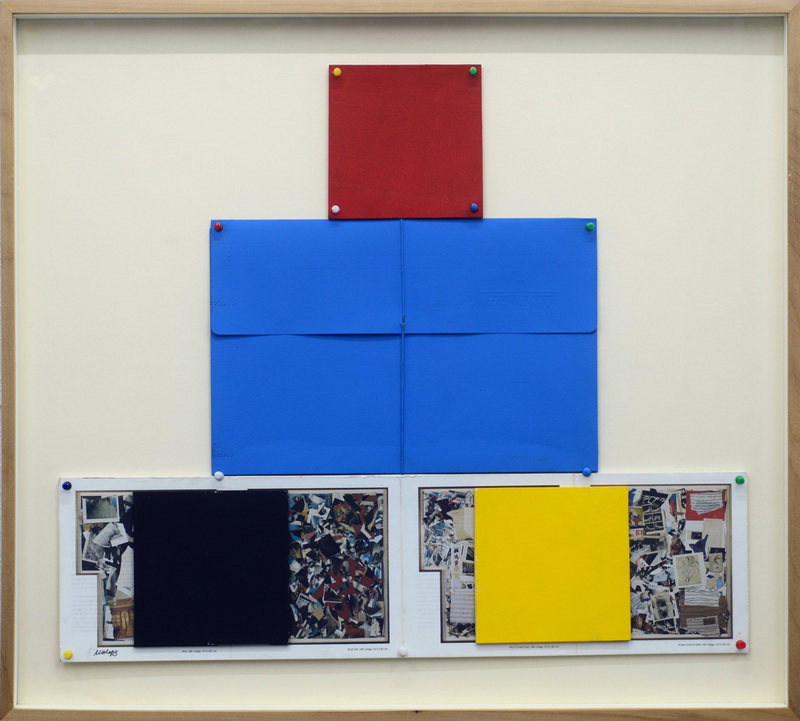 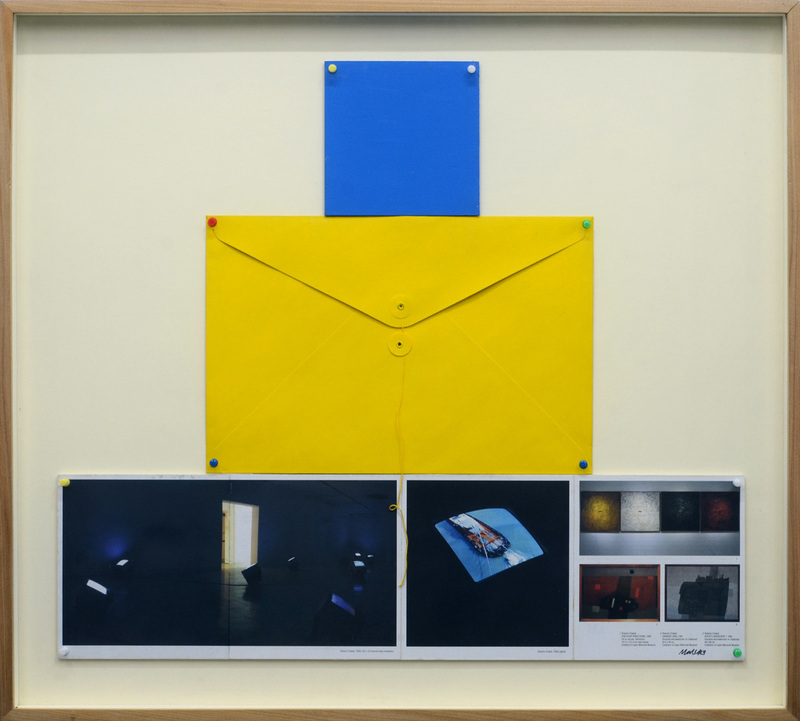 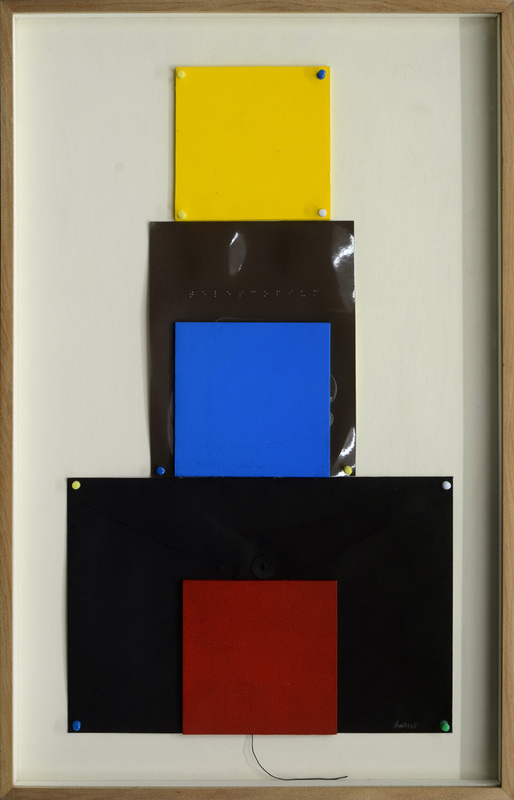 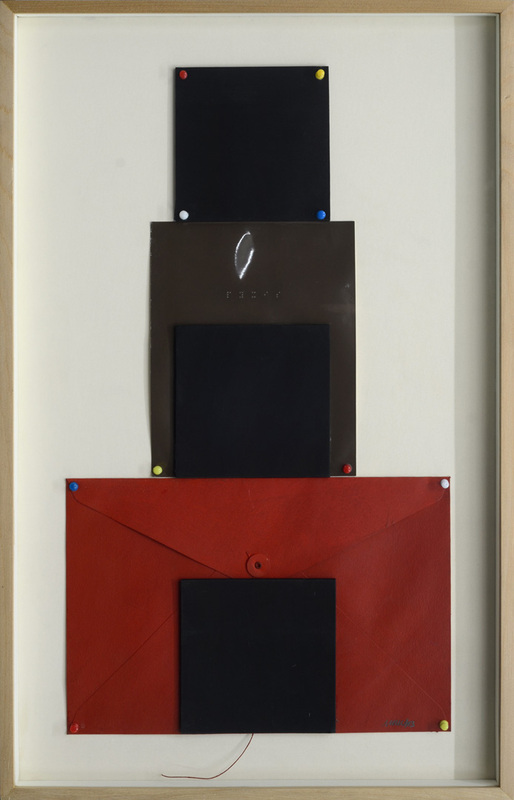 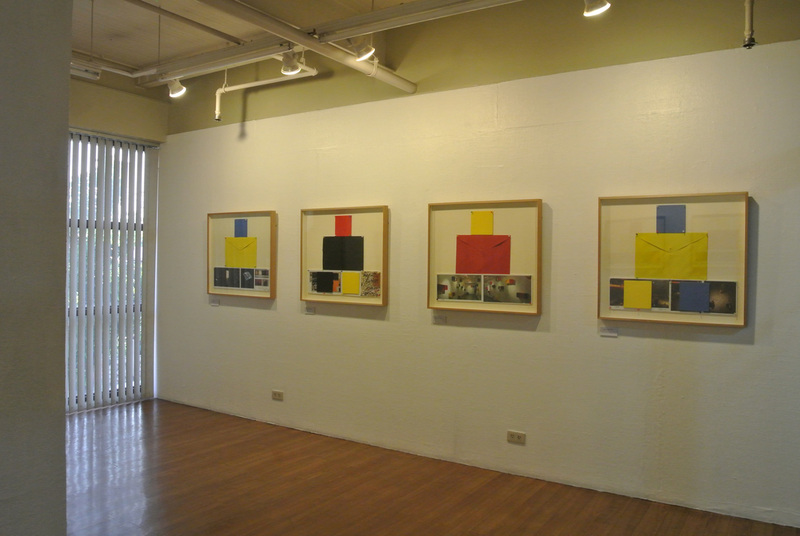 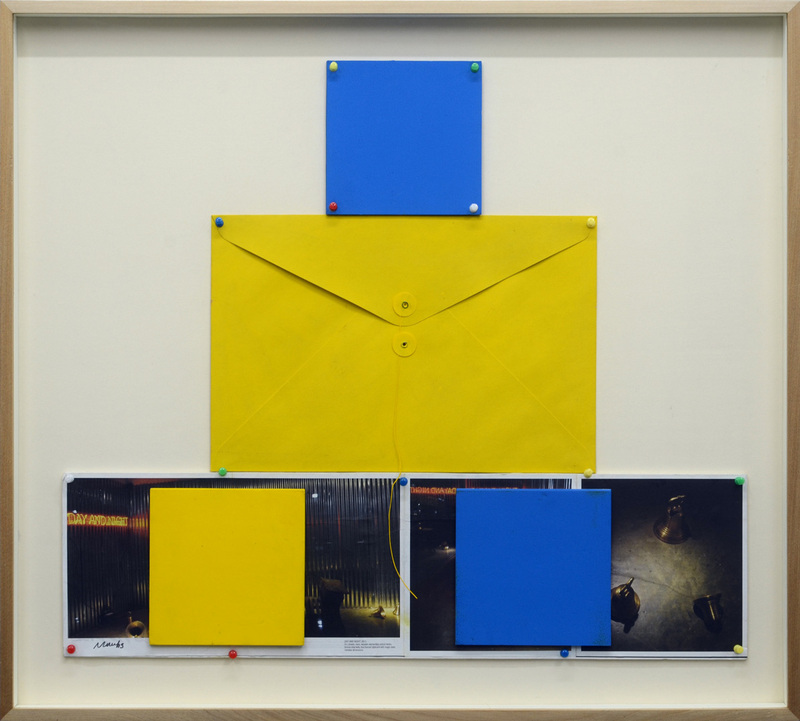 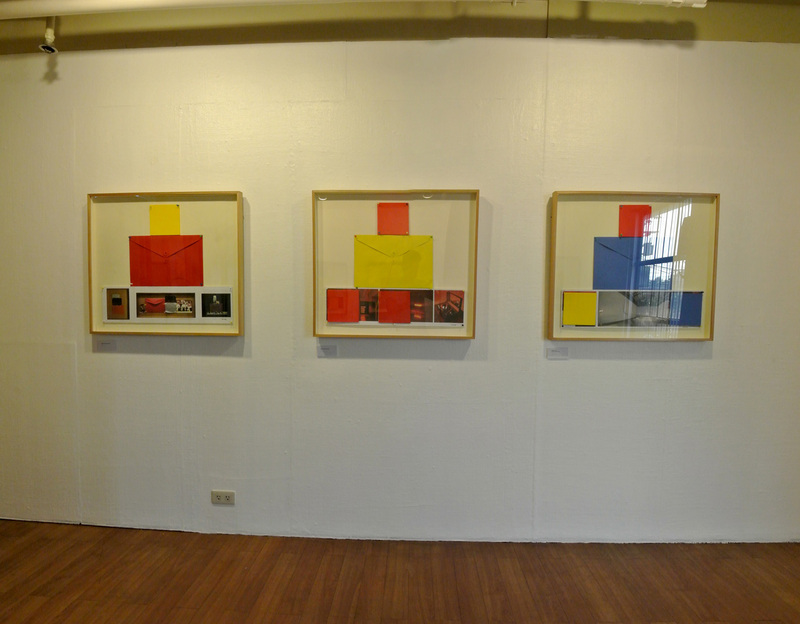 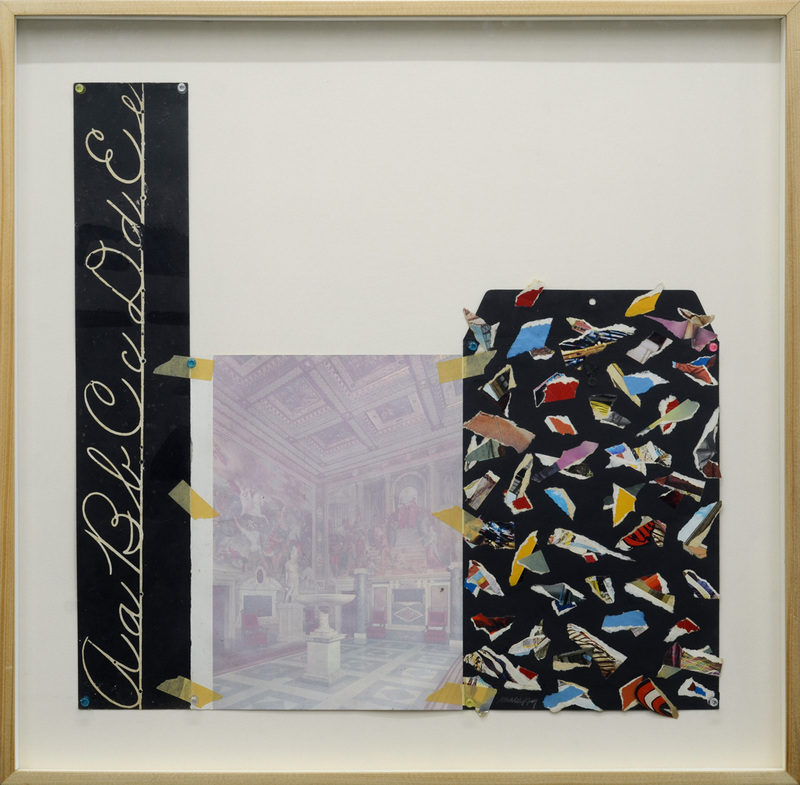 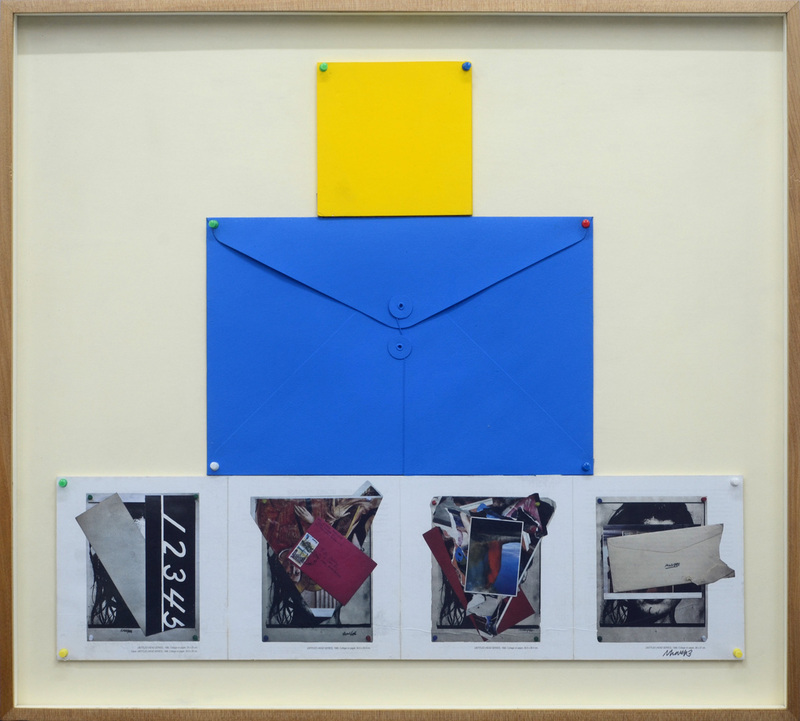 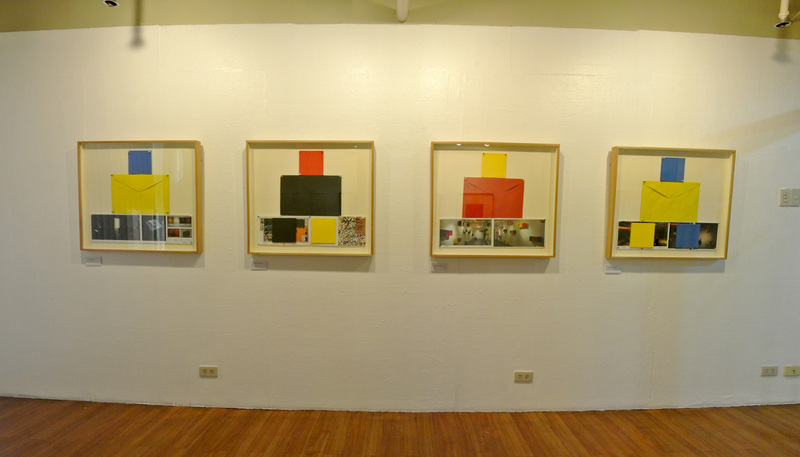 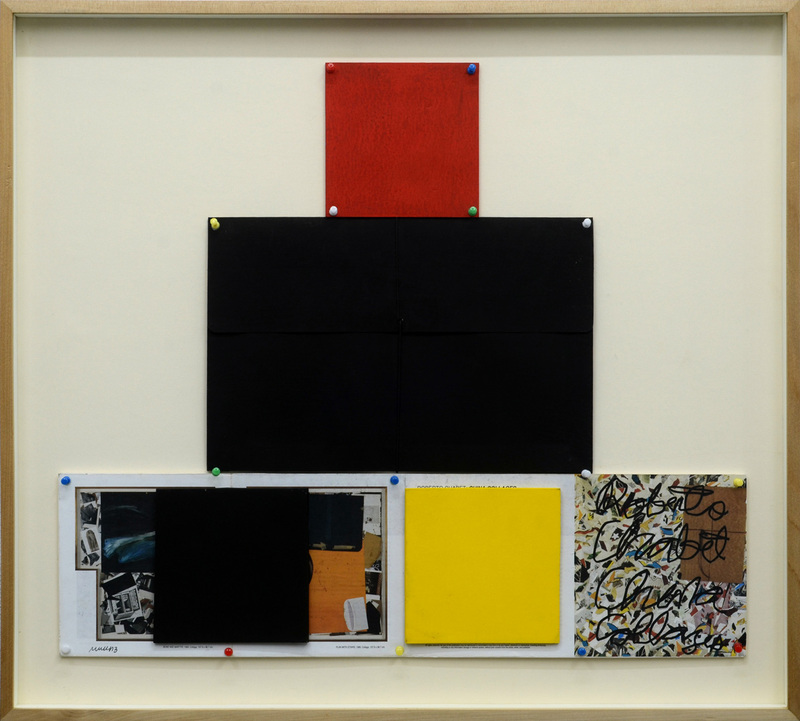 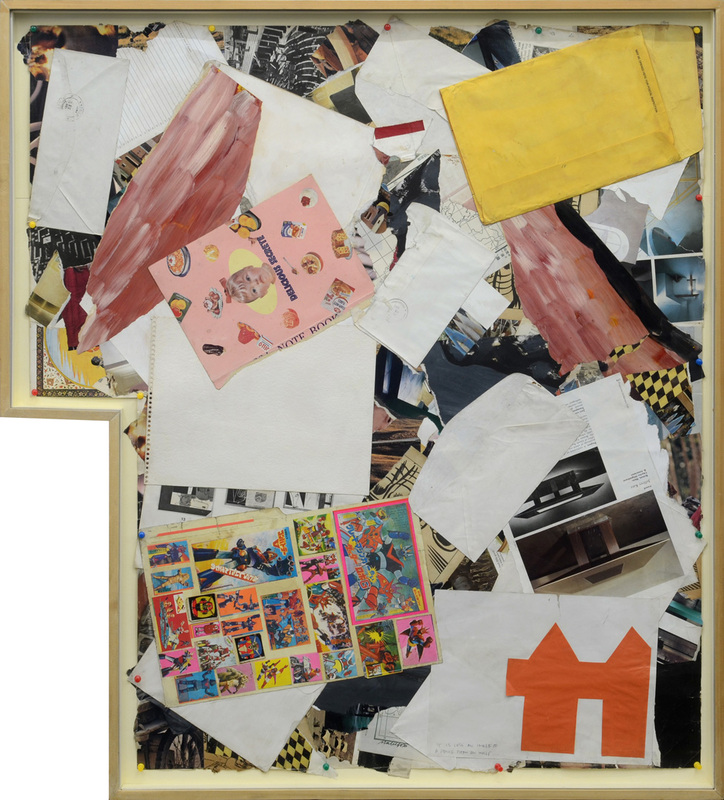 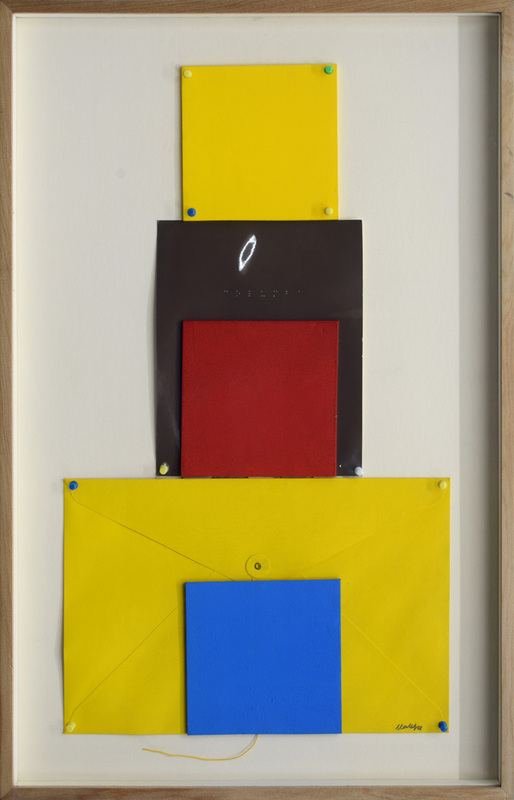 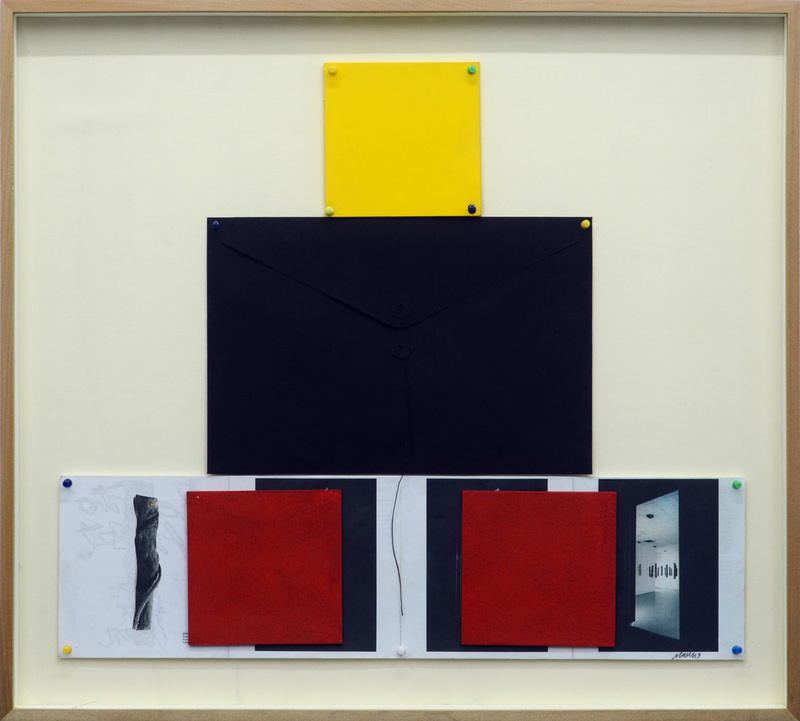 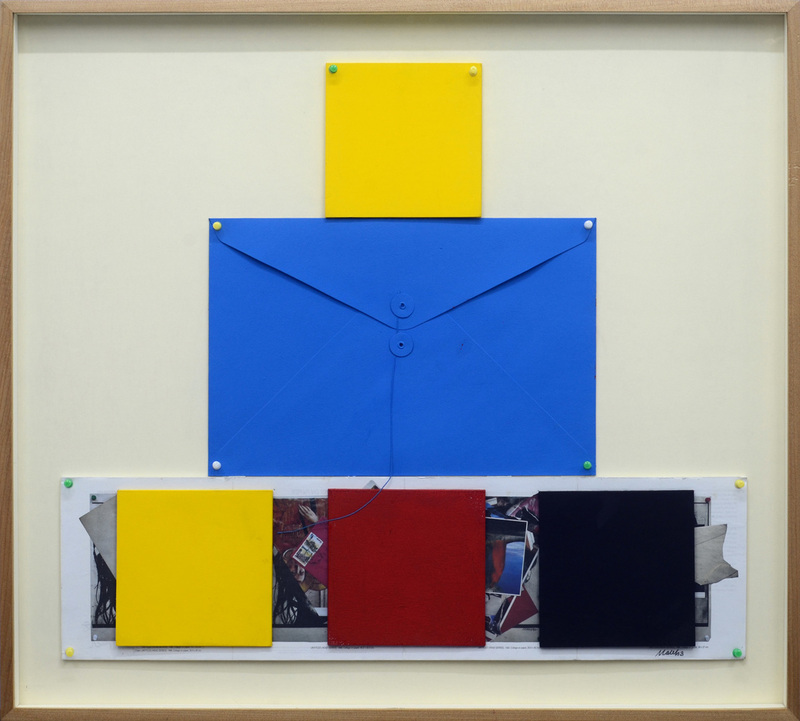 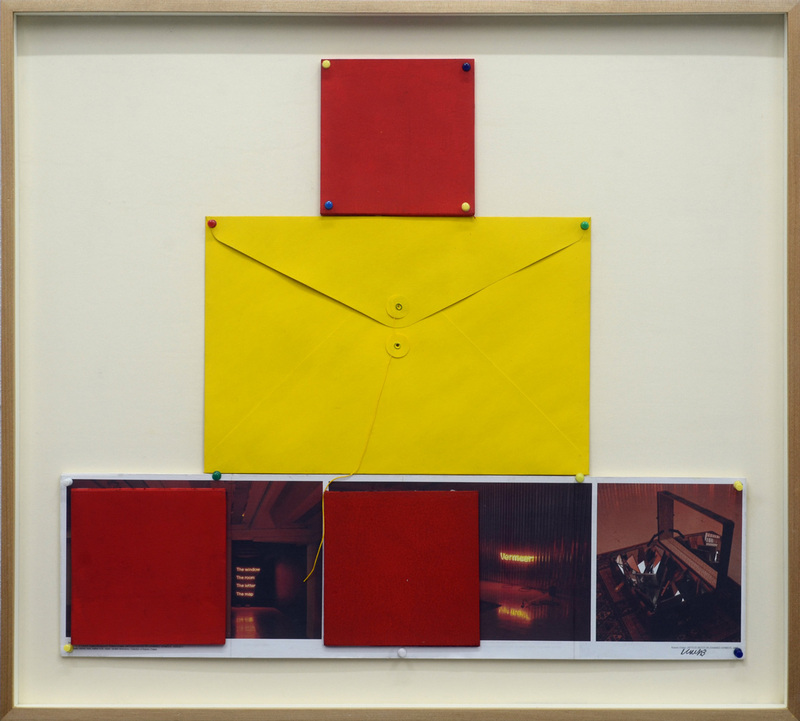 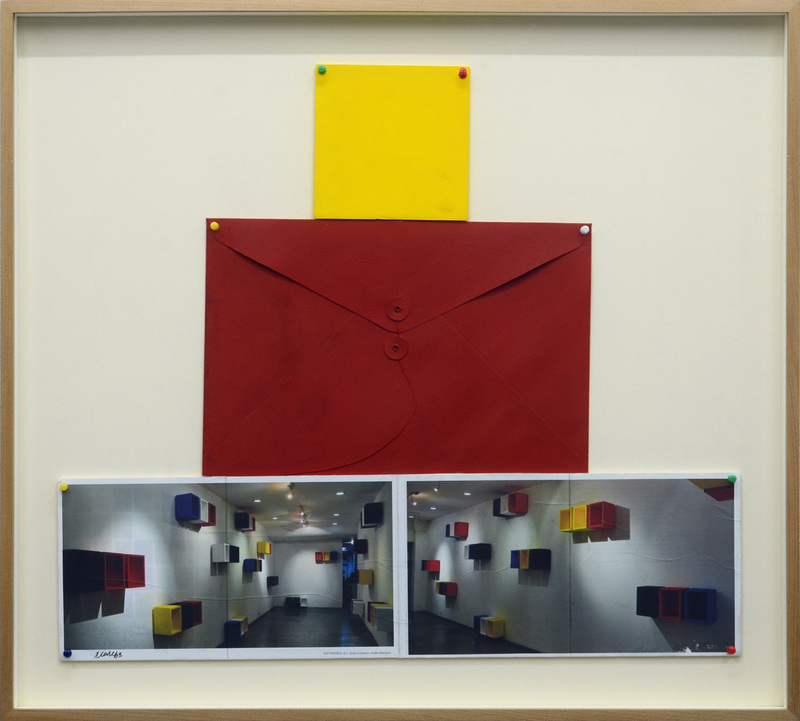 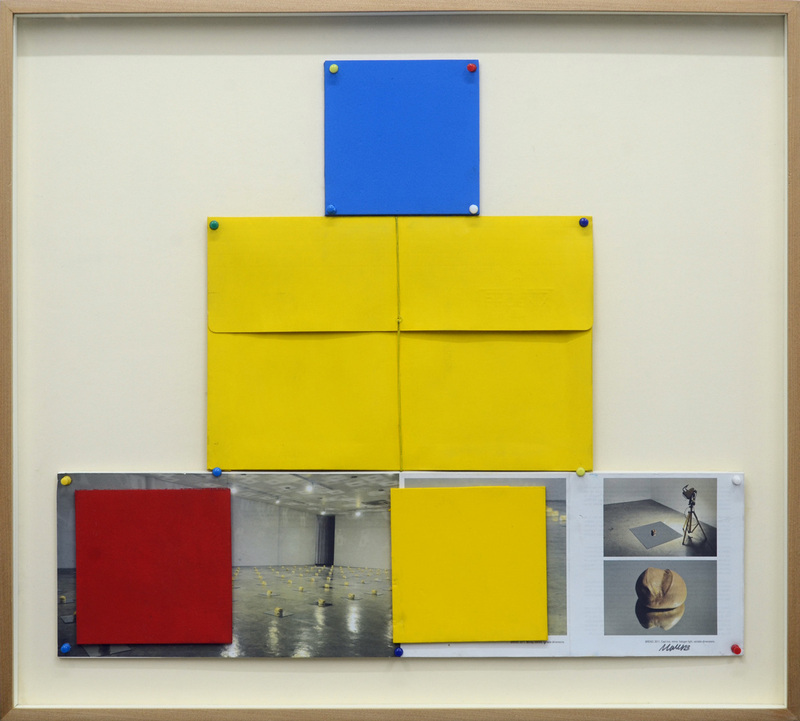 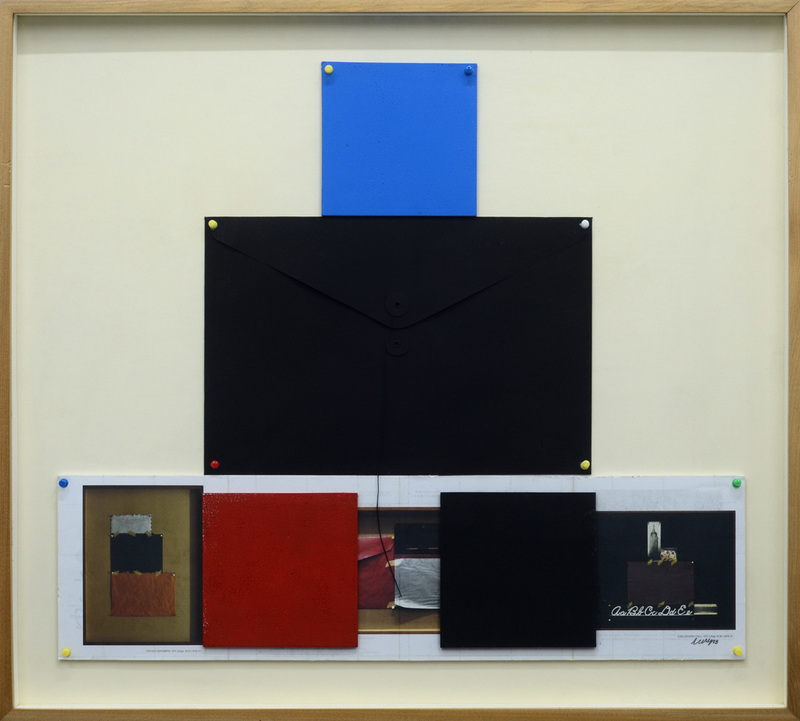 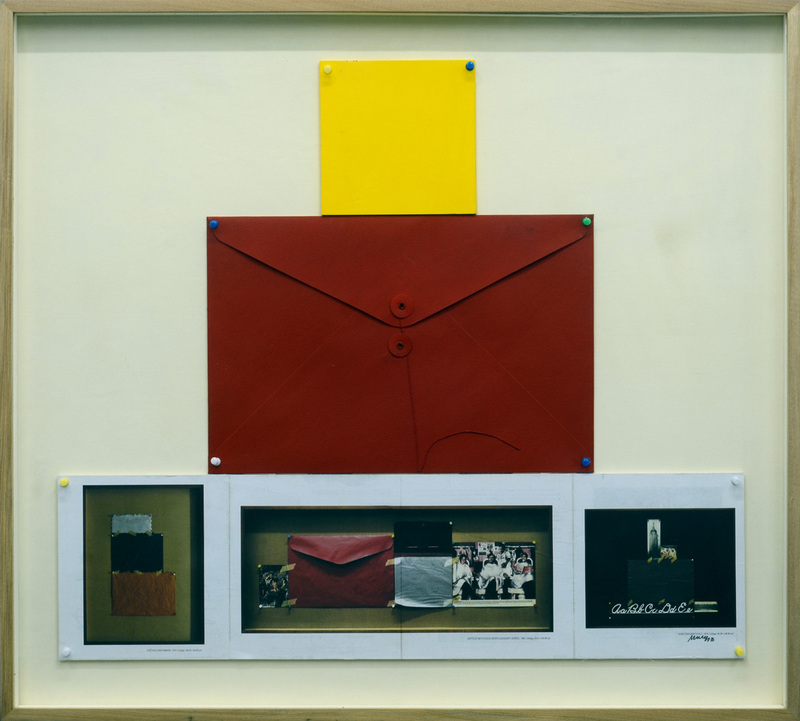 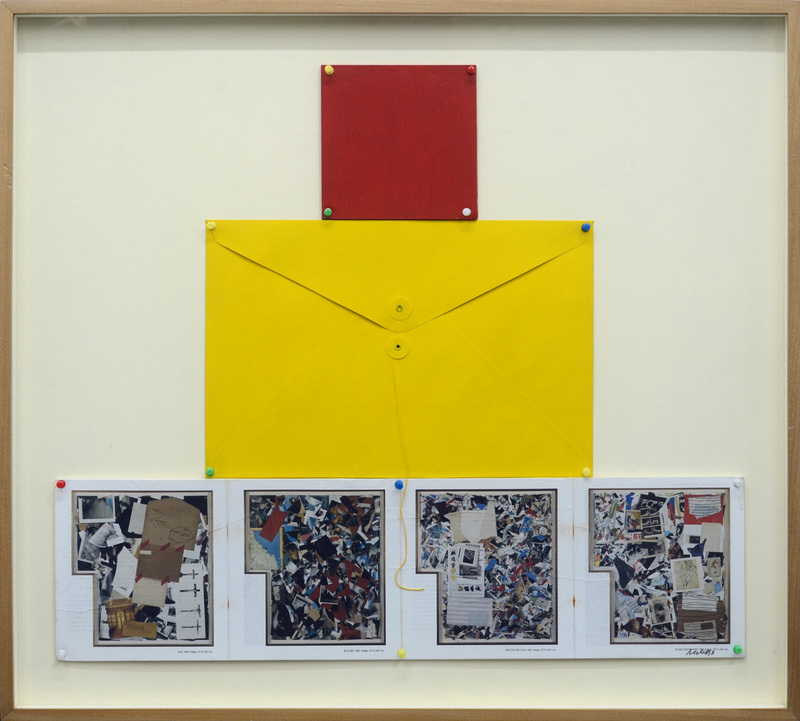 While collage is often linked to chance and open-ended associations, Chabet creates his own system and applies his own logic to an otherwise irrational activity. 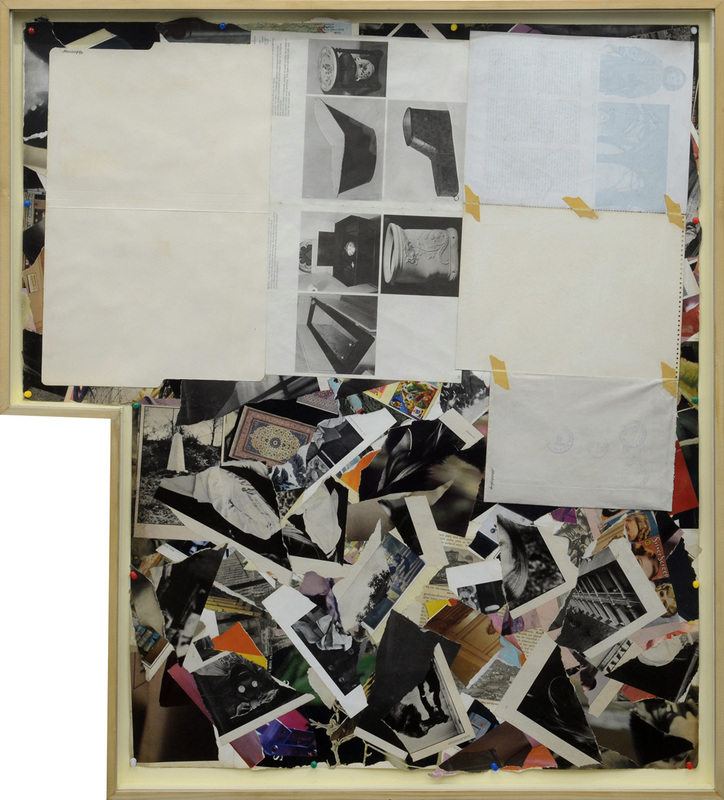 He began a deluge of collages in the 1970s that intersect with his fascination for photographic images. 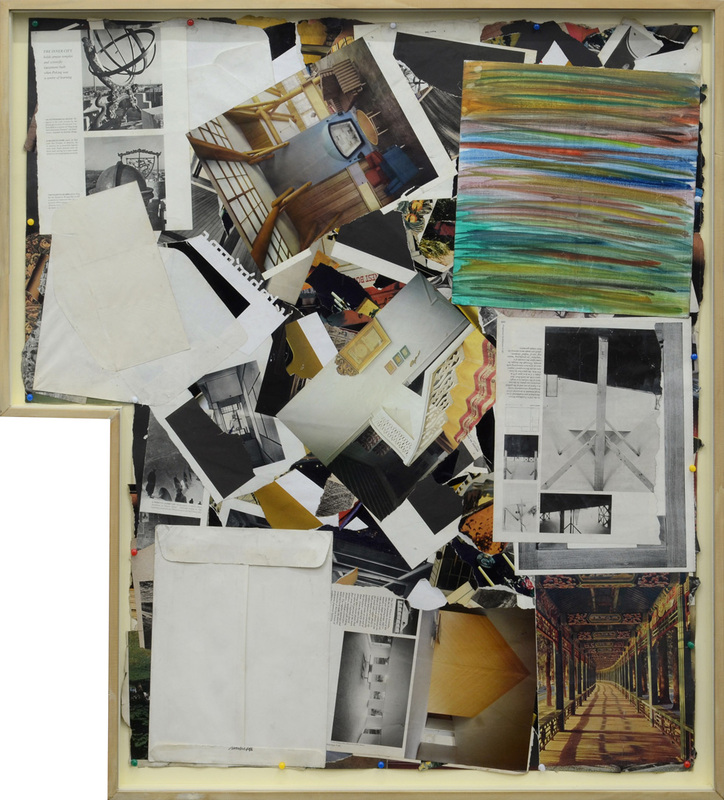 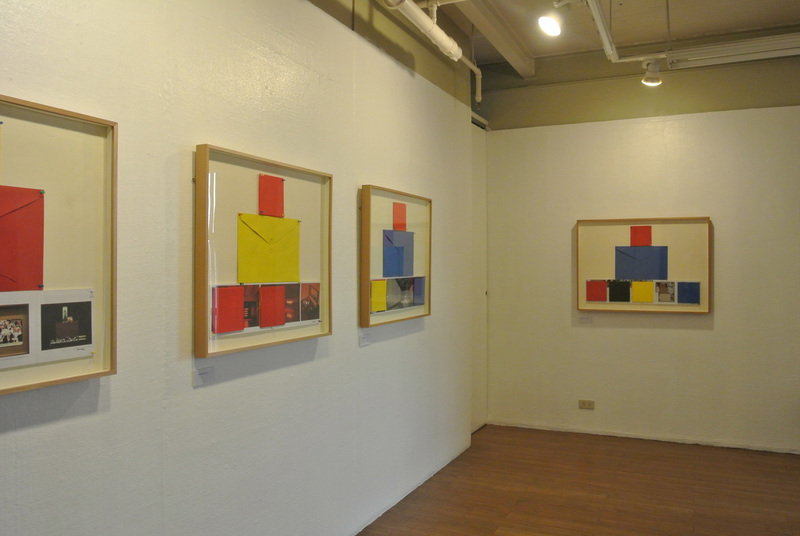 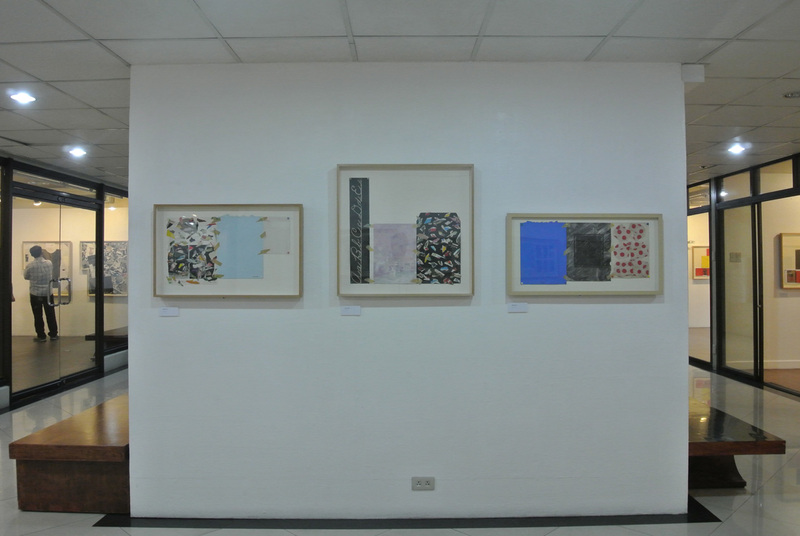 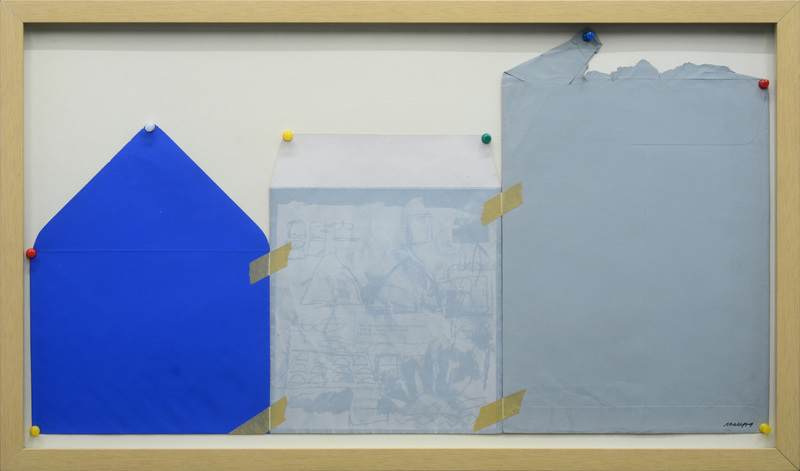 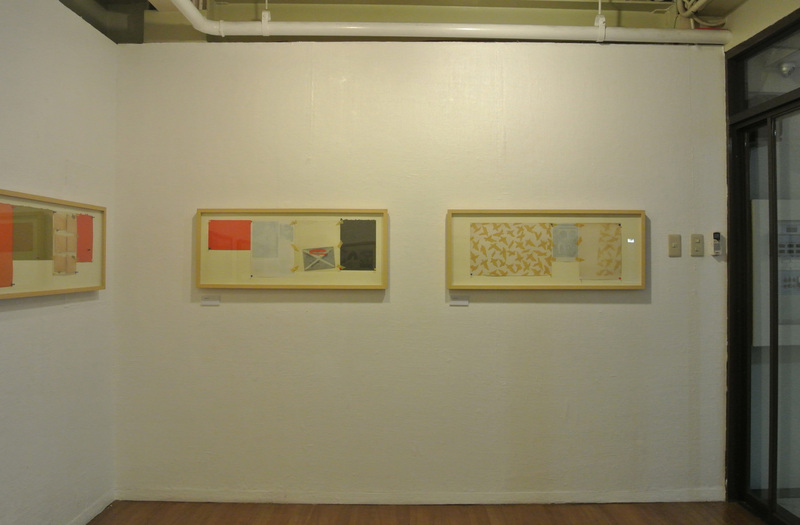 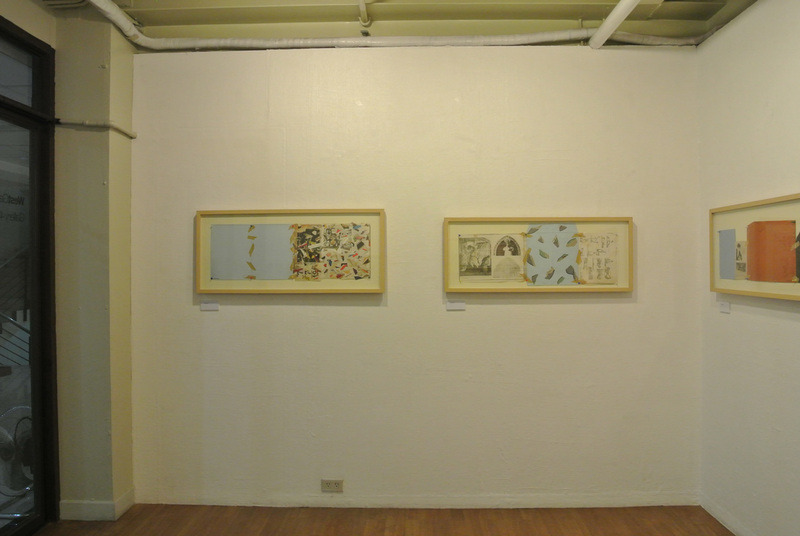 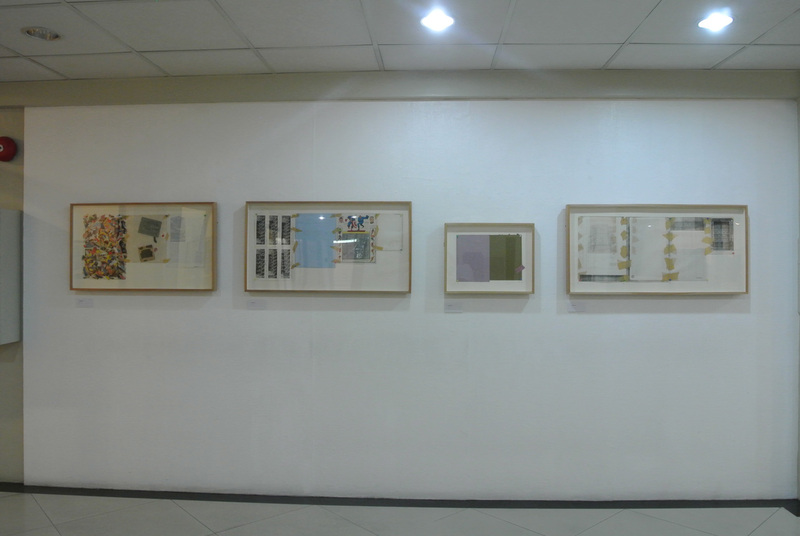 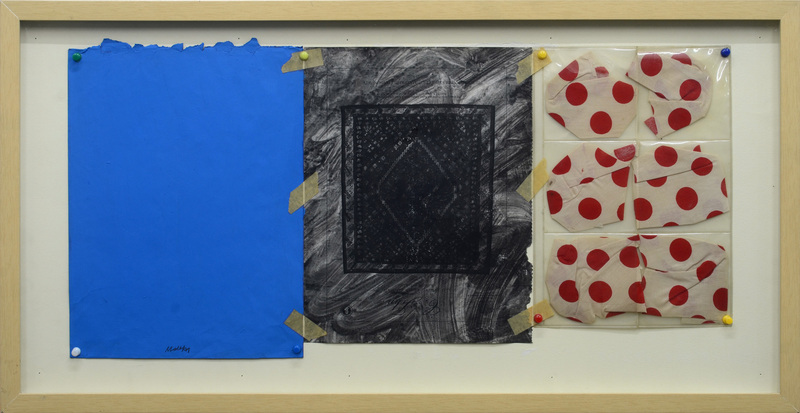 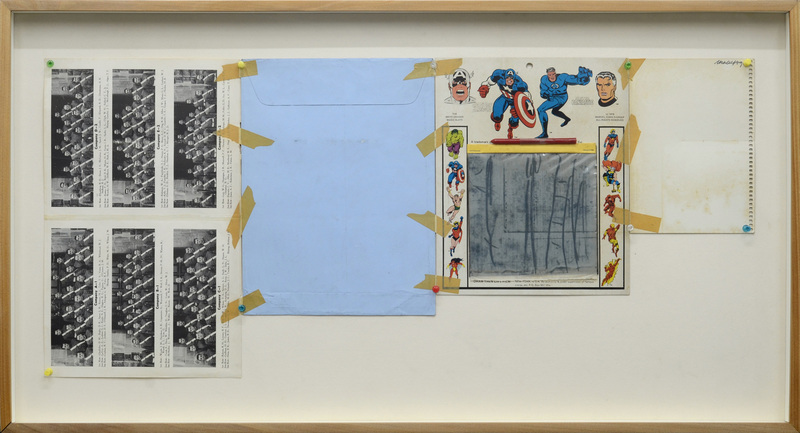 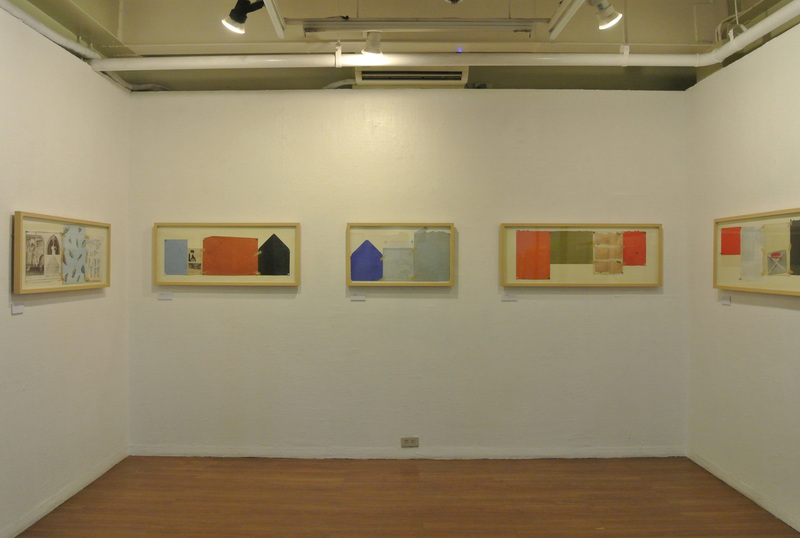 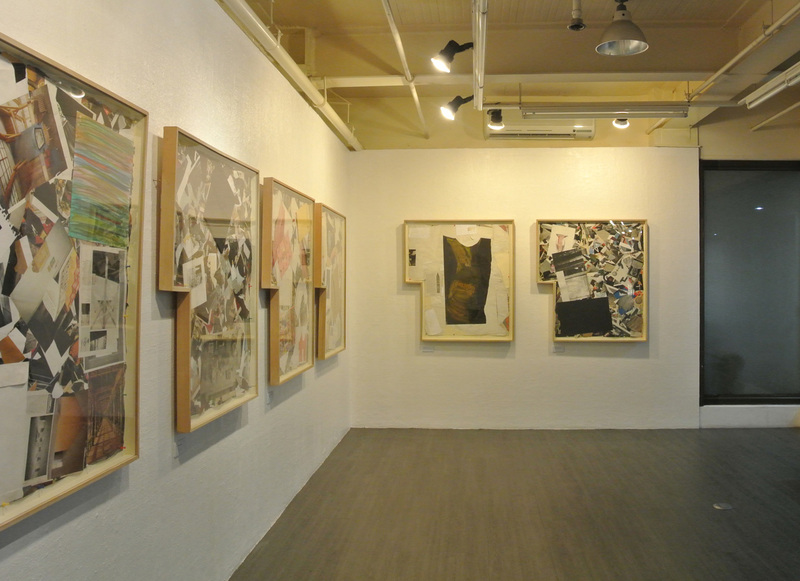 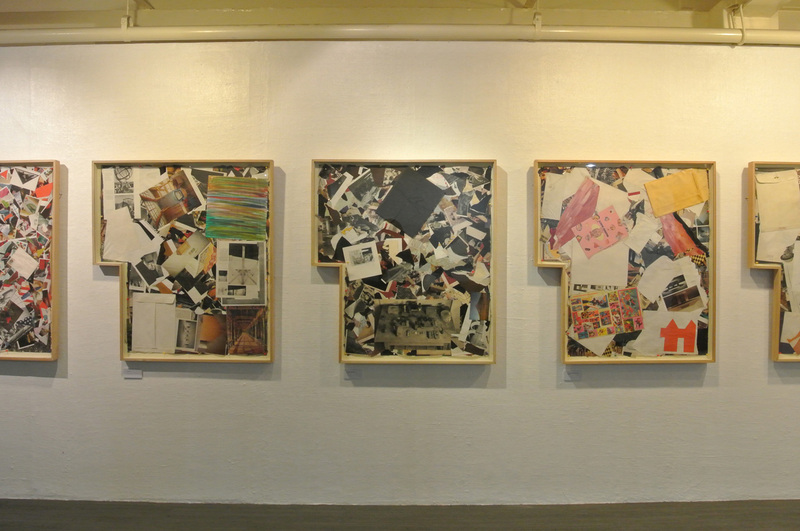 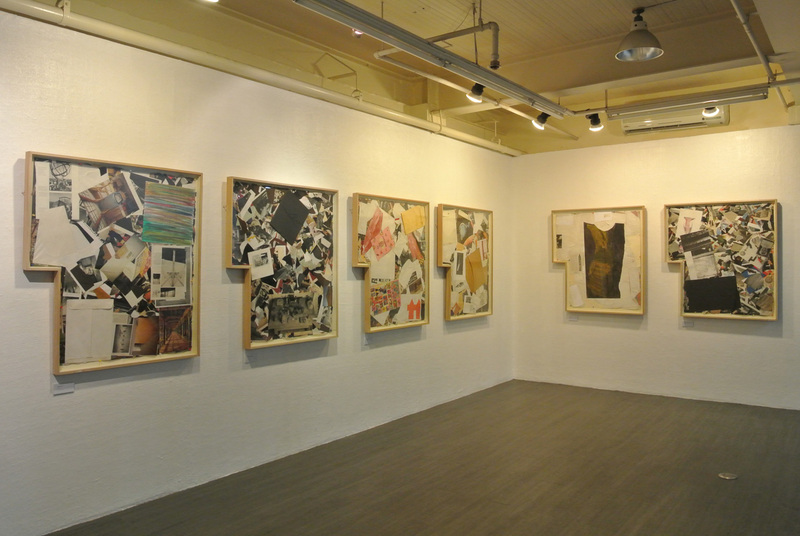 In one series, he takes the idea of ‘one thing after another’ as a method for making the collage, literally attaching each sheet of paper side-by-side with strips of masking tape. 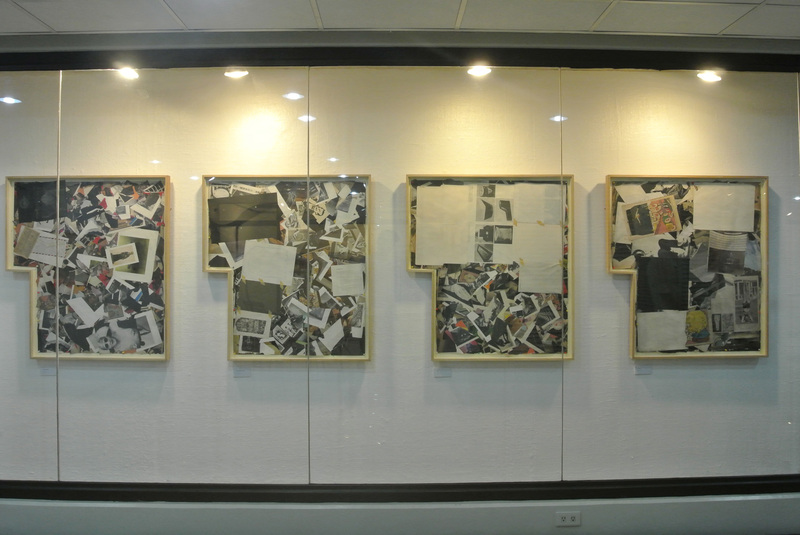 Their sequence draws out both their physical relationship with one another and the underlying continuum of meanings generated by each image. 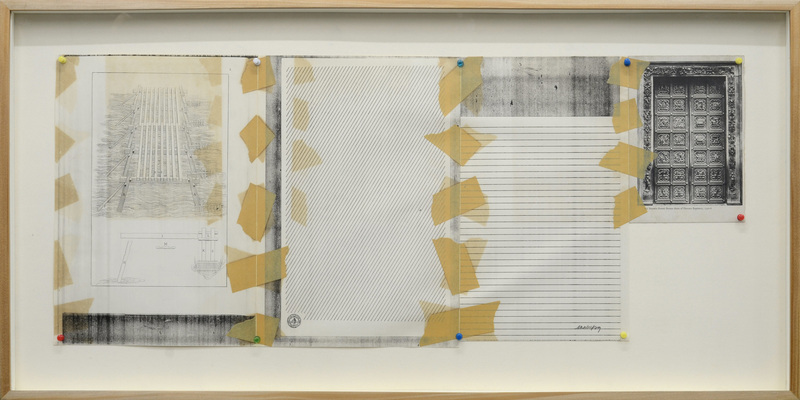 Envelopes, cards, photocopies, score sheets, book pages, illustrations, old drawings and collages, and pictures covered with an exquisite veil made from several layers of sheer, diaphanous washes of watercolor, are all arranged in the manner of a scroll with secret codes that we can never really truly decipher. 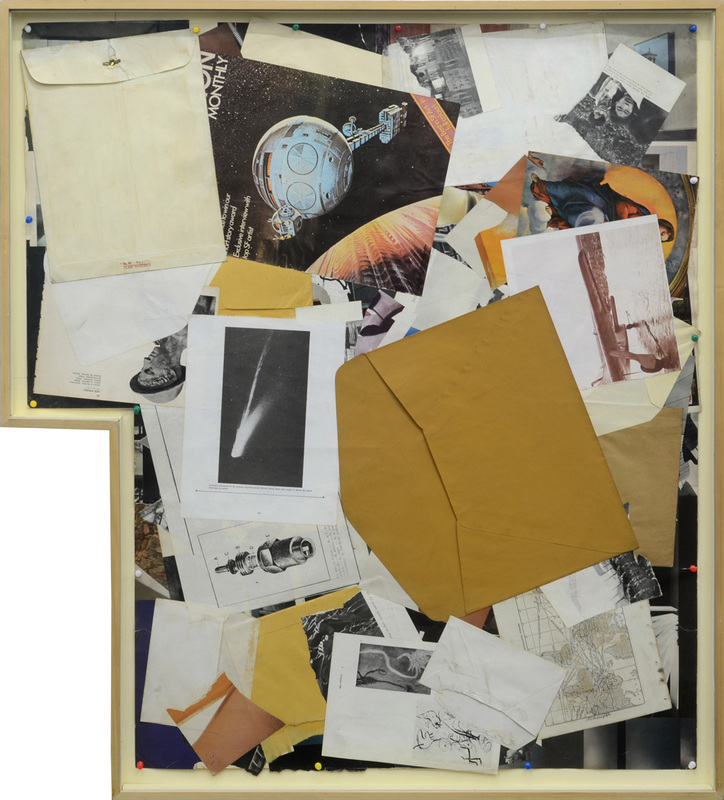 The ‘China Collages’, which he began in 1980, is his most voluminous series ever, numbering well over three hundred over a period of more than ten years. 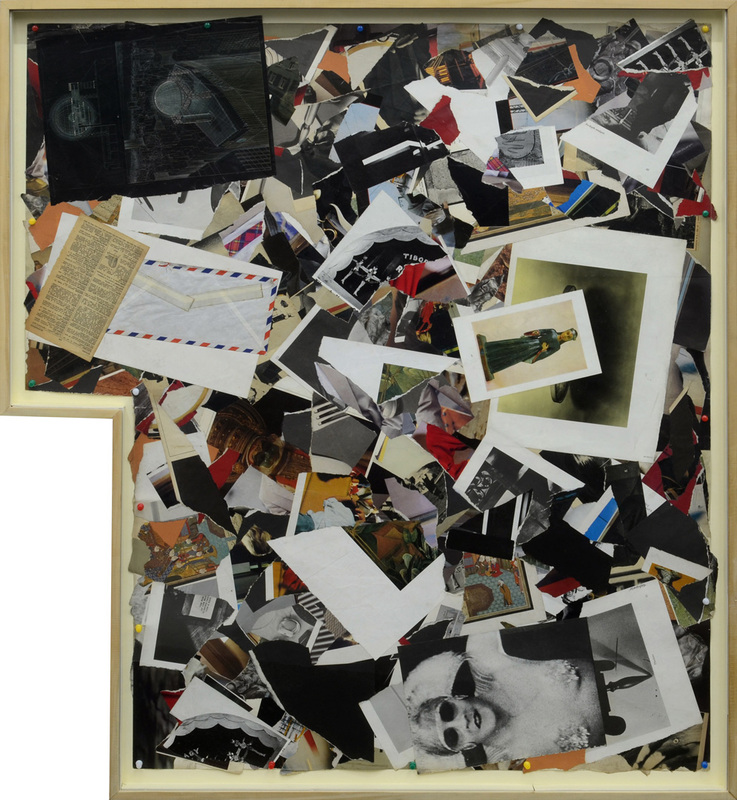 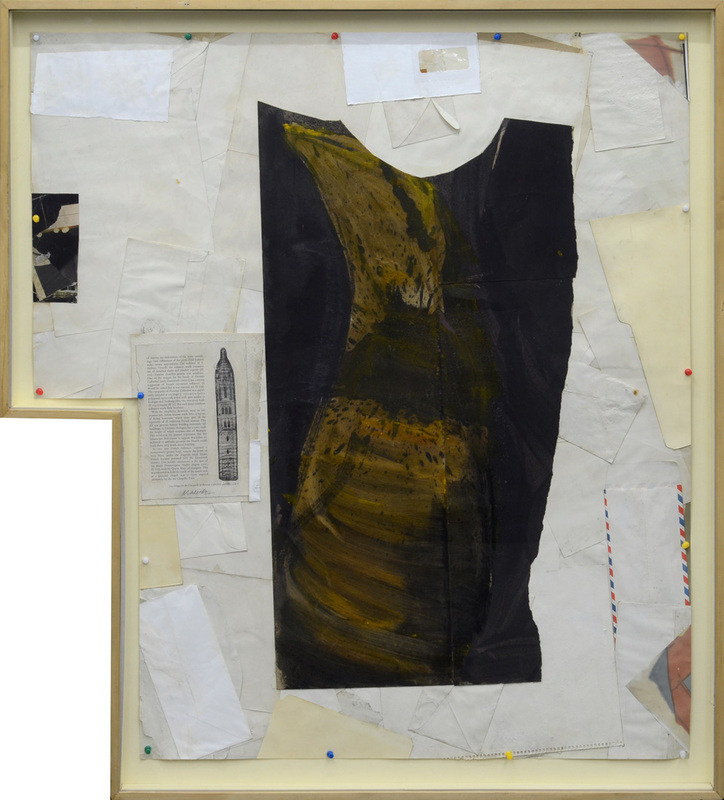 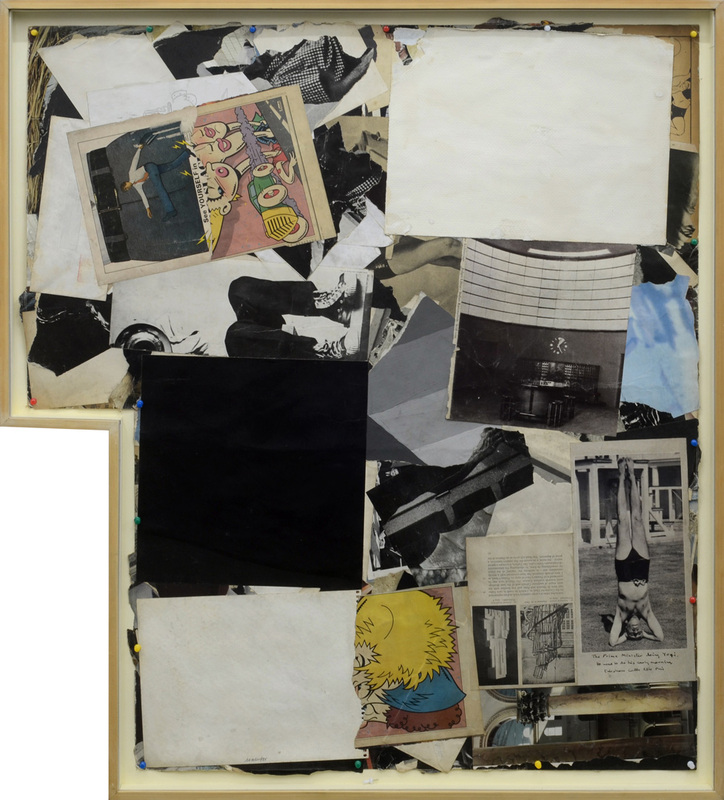 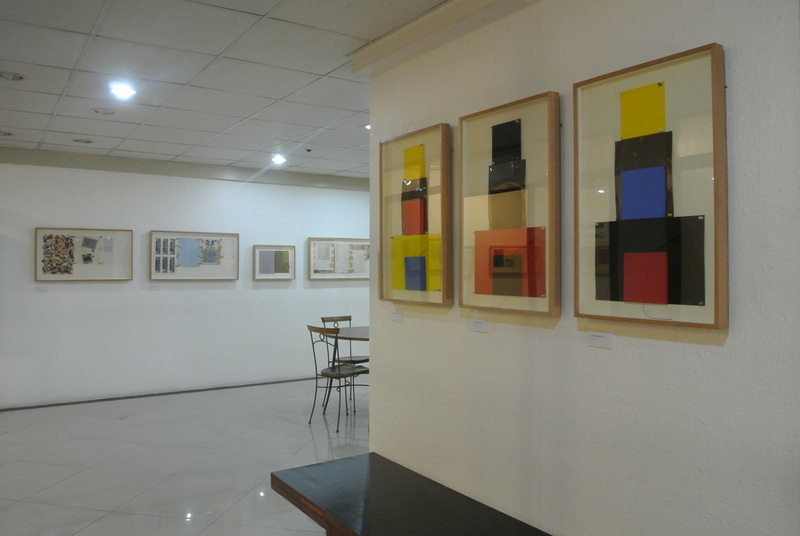 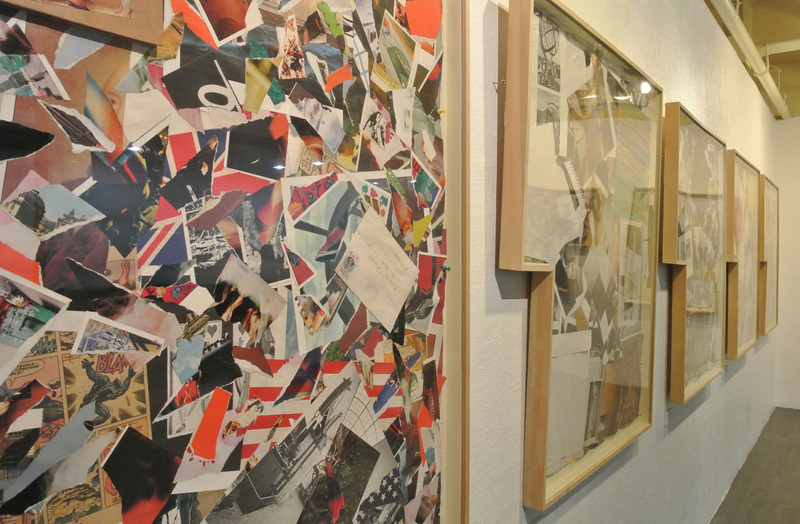 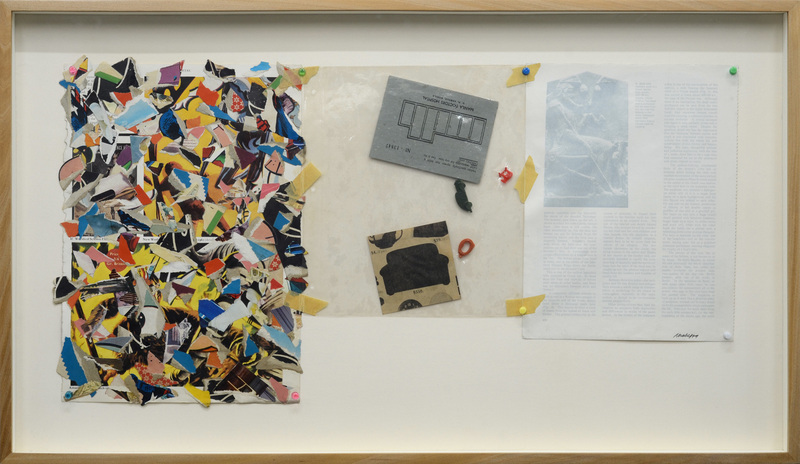 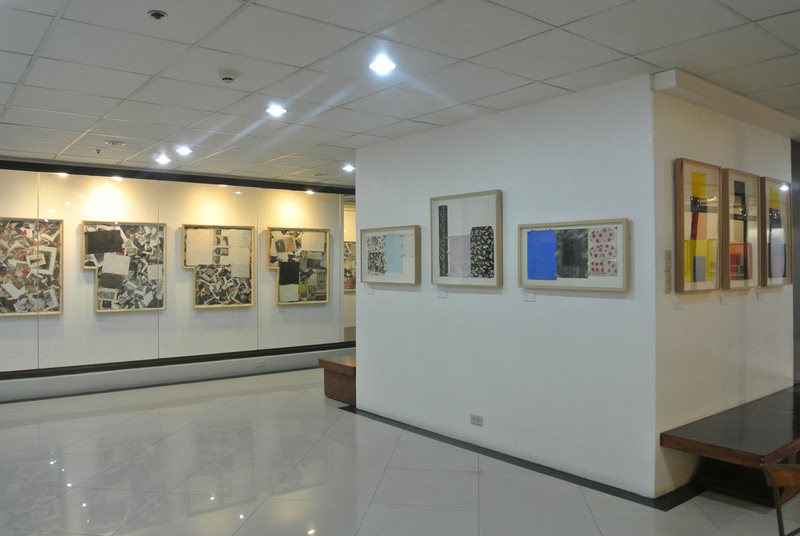 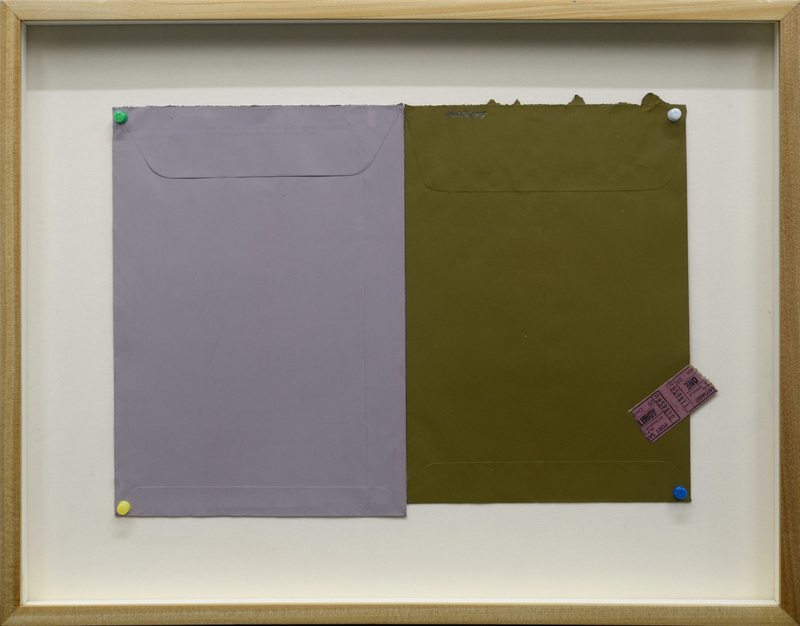 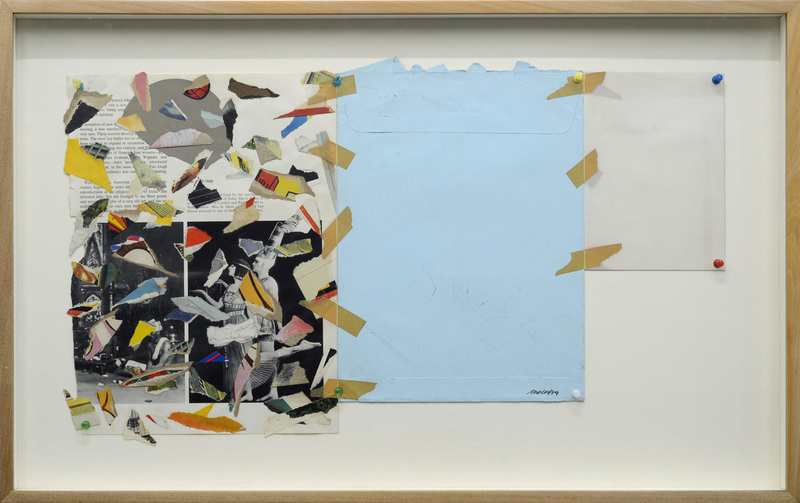 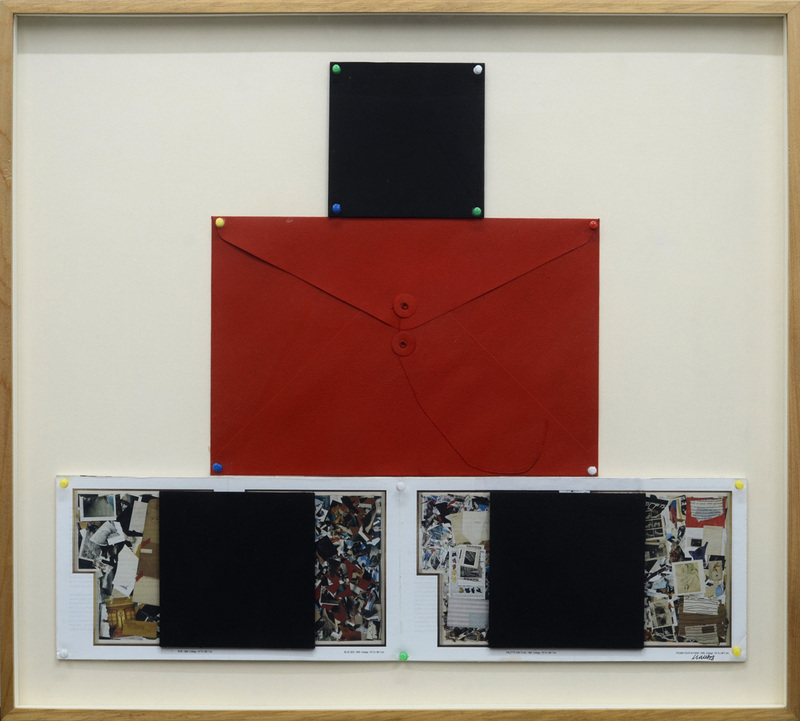 Described by the artist as his ‘picture morgue’ and a source book of imagery for his works, the collages are made from pieces of paper that accumulate and refuse to die in his studio. 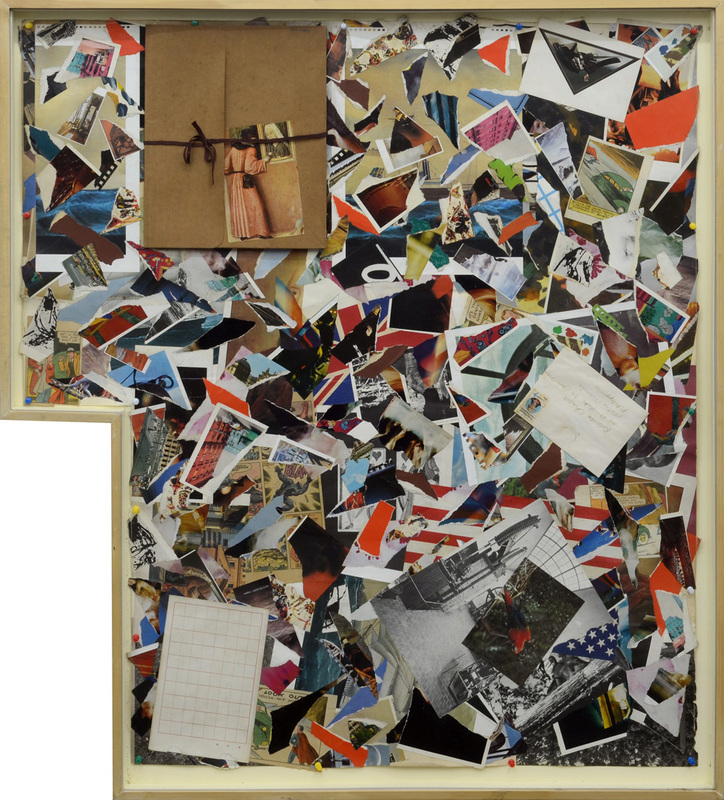 He scavenges through his piles and piles of books, magazines, clippings, letters, photographs, postcards, lists, bills, receipts, drawings, collages, students’ plates, wrappers, carton boxes, all sorts of papers, which he layers onto a map of China, Mongolia and Korea. 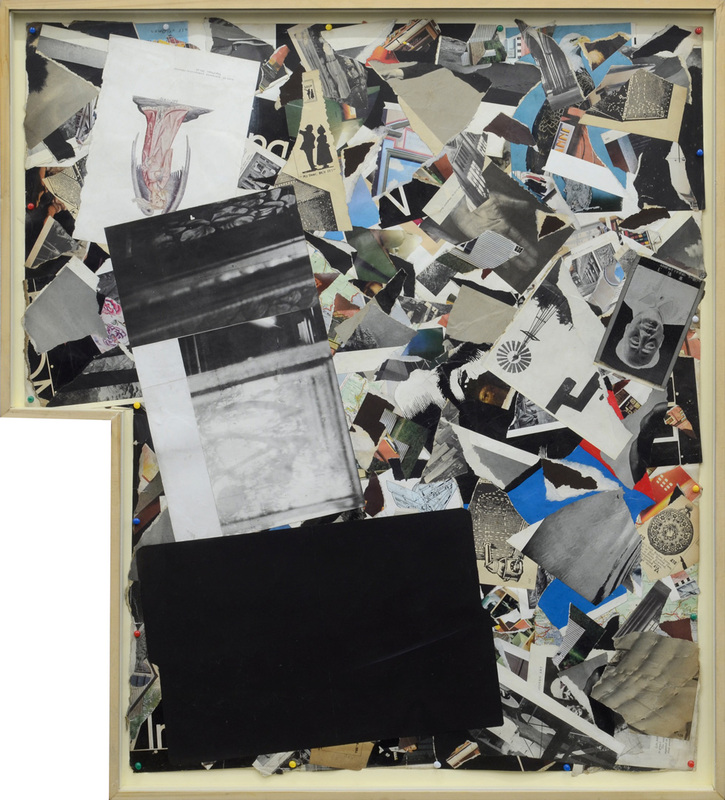 Looking at these collages is like taking a slow boat to China, with bales of fragments of paper as its main cargo of curiosities. 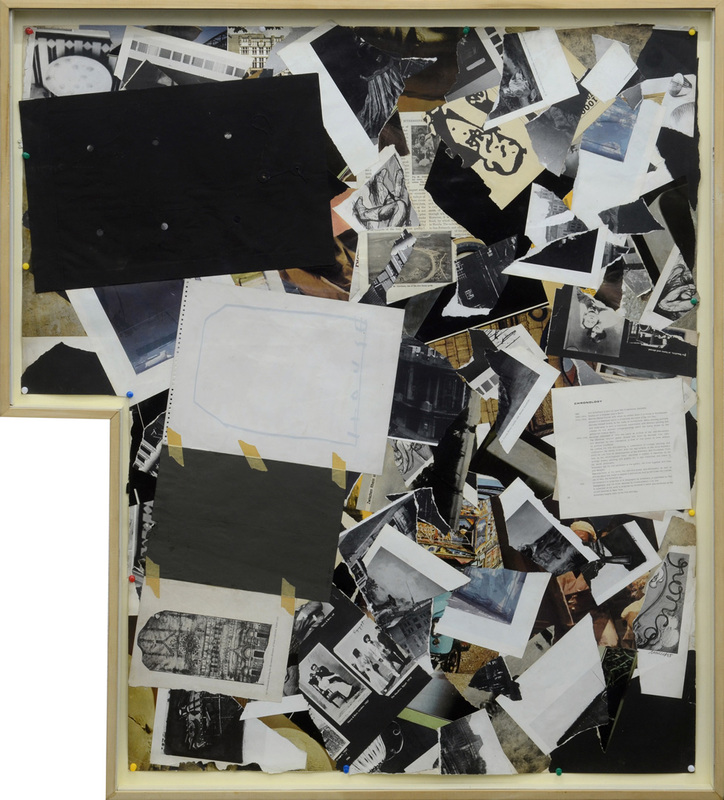 In its early stage, one can still see parts of the map and later on, they become completely covered like a dense battleground embodying Baudelaire’s ‘riot of details’.